The road to opposition-unity in the upcoming Madhya Pradesh assembly election seems to be a distant reality in wake of the mounting pressure on chiefs of Bahujan Samaj Party and Samajwadi Party, ever since their alliance defeated Bharatiya Janata Party in the by-elections held in Uttar Pradesh for Lok Sabha and Vidhan Sabha. Analysing the impact of the future prospects, the BJP stalwarts have started shrewd moves to counter them on account of alleged corruption and disproportionate of assets during their rules. 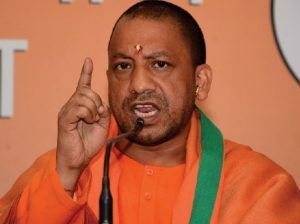 Chief Minister Yogi Adityanath and his deputy CM Keshav Prasad Maurya bitterly failed to counter realignments of Dalit, OBC and Muslim resulting in new phenomena, setting aside communal polarisation even in the strongholds of ‘Hindutva’ in Kairana and Noorpur of western Uttar Pradesh. 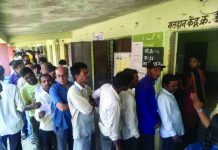 The extension of the alliance in Madhya Pradesh of Congress and other smaller parties appeared to be the most worrisome proposition in the continuance of BJP rule as the crucial assembly polls are barely five-month away and its outcome would indicate emerging public mood to form a political picture for the seventeenth Lok Sabha. Questioning the alleged corruption in procedural haste on disinvestment of 21 state-owned sugar mills in 2010-11 during the Mayawati rule, the Yogi Adityanath government referred the matter to the CBI on April 12, 2018, giving it long rope for investigations. The terms of reference for investigations include, “entire sale proceedings of 21 sugar mills and money trail through shell companies and related documents with regard to the purchase of seven closed mills of Deoria, Bareilly, Laxmiganj, Hardoi, Ramkola, Chittauni and Barabanki.” It is alleged that it had caused a loss of 1,179 crore to the state exchequer. The CBI quickly swung into action acceding to the state’s request and undertook the high profile political case into its hands on May 7, 2018, and launched a fresh investigation into the matter. The terms of reference equipped the premier investigation agency to look into the role of “politicians, bureaucrats and businessmen” involved in the alleged scam. 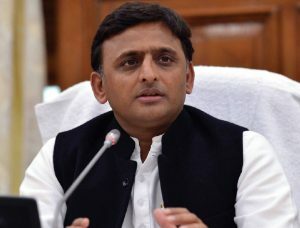 The UP government also shared the CBI an FIR registered at Gomti Nagar police station in November 2017 against two companies which bought mills — Namrata Marketing Pvt Ltd and Girasho Company Pvt Ltd, which sources said were found ‘fictitious’ in an enquiry report of the state government. The Comptroller and Auditor General (CAG) also questioned sale of sugar mills at throw-away prices as compare to market rates in its statutory audit report placed before the legislature. CAG found that the then Mayawati government had sold the state-owned 21sugar mills without following a fair procedure and surprisingly ten of these mills were not sick – economically viable and fully functional in production. Besides plant and machinery, these mills were built over 500 hectares worth around 2,000 crores according to present day rates. The matter had been referred to Public Accounts Committee for government undertakings. Former minister Naseemuddin Siddiqui, who was Mayawati’s close aide, had alleged last year that the “sugar mills were sold on the directives of then CM Mayawati and BSP general secretary Satish Chandra Mishra.” However, Mayawati had asserted that the sale order for the sugar mills was issued by Siddiqui, who was later ousted from the party for anti-party activities. Now, Mayawati is again under the CBI lens. Despite best efforts, Mishra did not respond to the calls and messages of Tehelka to give his version. Samajwadi Party patriarch Mulayam Singh Yadav and his both sons Akhilesh Yadav and Prateek Yadav along with his daughter-in-law were facing grave charges of amassing immovable assets disproportionate to their known source of income. Despite undervaluing the prime assets the CBI found it disproportionate. The matter is pending before the apex court after many turns and twists in the case. The status report of CBI is still pending. The petitioner, Vishwanath Chaturvedi, is strongly pitching his crusade before the apex court. Talking to Tehelka he said, “I will challenge the orders passed by former CJI Altamas Kabir whereby the name of Dimple Yadav was deleted on the ground that she did not hold public office at the time when alleged offences were committed.” The matter is likely to be expedited next month. Meanwhile, the CBI and ED are tightening the noose of famous Yadav Singh matter that virtually blocked the way for Samajwadi Party to join “Mahagathbandhan” during Bihar assembly elections. One of the co-accused in Noida Chief Engineer-Yadav Singh bribery and high-level corruption case chartered accountant Mohan Lal Rathi has turned approver and court allowed his application. It may likely lead the Samajwadi-Yadav clan into fresh trouble as Akhilesh Yadav banks on his uncle Ram Gopal Yadav more than anybody else. His son and daughter-in-law were allegedly found hand in gloves with Yadav Singh money trail of disproportionate assets and money laundering. Madhya Pradesh Congress leaders are keen to have an alliance with BSP as its vote share has gradually increased around six per cent, whereas, Congress stood on just 36.38 per cent in last elections. BSP had a good impact in Rewa and adjoining districts of Bundelkhand region and won maximum 12 seats. BJP with 44.87 per cent vote share won 165 seats out of 230. 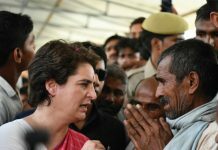 Anti-incumbency factor is against BJP government but scattered opposition and infighting among Congress leaders for establishing supremacy over other could be damaging the prospects of Congress party. AICC general secretary in-charge of MP, Deepak Babaria, as a move to consolidate Dalit support base for his party announced that Dalit leader Surendra Chaudhary would be the party’s choice for deputy chief minister post if it comes to power in the state. There is no initiation of alliance talks between Congress, Bahujan Samaj Party as of now. 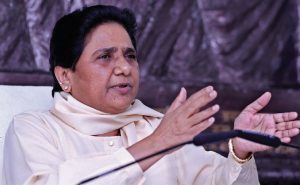 BSP national leaders are tight-lipped over the issue whereas, its state leaders are flexing muscles that they would contest in all the 230 assembly seats. The decision also assumes significance as in Madhya Pradesh, the Congress has plenty of problems within its leaders with all three — Jyotiraditya Scindia, Digvijaya Singh and Kamal Nath — all rivalling to lead in the state. A BSP-Congress alliance in Madhya Pradesh was predicted to be a game changer, where BJP has been in power for three consecutive terms, as it would have helped the Congress to improve its seat tally. Congress has been actively involved in issues related to atrocities and violence against Dalit and weaker sections, eyeing to consolidate their traditional vote bank at a time when the Dalit anger has emerged as national issue in last few months. The Congress leaders are still hopeful for an alliance but BJP stalwarts playing all sort of political moves to dismantle opposition unity. 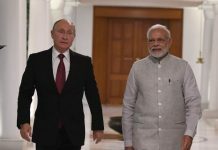 Previous articleIs India ready to give Modi another chance?